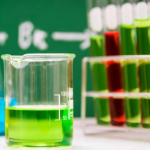 The European Chemicals Agency (ECHA) has published the new REACH Candidate List on January 15, 2019: Six Substances of Very High Concern (SVHC) were added to the list. The Candidate List of Substances of Very High Concern for Authorization now contains 197 substances. The European Chemical Agency (ECHA) published an update of the Candidate List under REACH on June 27, 2018: Ten new Substances of Very High Concern (SVHC) were added to the list. The Candidate List of SVHCs for authorization has gone up to 191 substances. The use of a Substance of Very High Concern in an article may require information obligations according to Art. 33 and notification obligations according to Art. 7. The final deadline for substance registration under REACH of May 31, 2018 was a mere deadline for registering a specific tonnage band. However, other obligations under REACH will remain unchanged. These include, for example, authorization of substances as well as information requirements in the supply chain. The REACH Candidate list has to be monitored in this regard. New substance restrictions have to be considered, too. Regarding registration, there are also tasks concerning all existing registration dossiers, as they are to be maintained and kept up to date. Besides, the registrants should take time after having submitted registration dossiers to finalize the cooperation with co-registrants and initiate, for example, a cost check of Letter of Access (LoA) or discuss conditions of data sharing in the future. 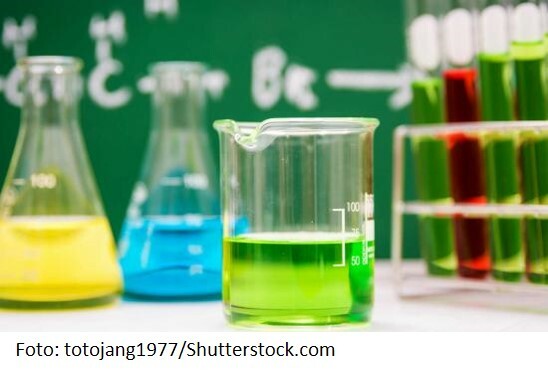 Finally, the registration deadlines were set for already existing substances on the market, but the chemical industry is a very dynamic field where new substances could be created and will have to be registered as well. For more information on REACH, please contact us: info@1cc-consulting.com. In light of the upcoming registration deadline on May 31, 2018, companies that fail to register their substances under REACH are left with few options. In accordance with the principle “no data, no market” (Art. 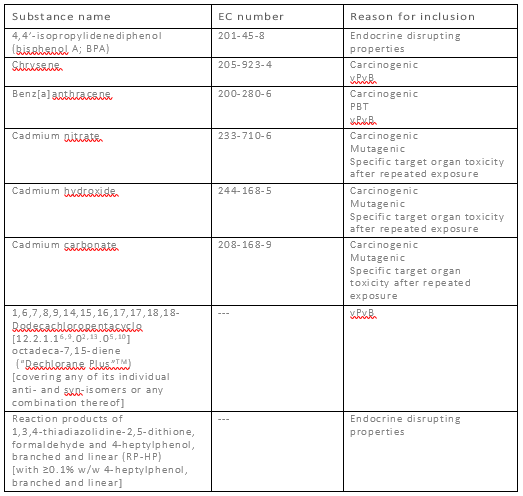 5 REACH Regulation), it is recommended to register substances on time, when possible. Pre-registrations with compliant dossiers will become invalid and SIEFs inactive after the submission deadline (May 31st). Registrations submitted after June 1st will undergo more complex inquiry procedures. It is important to note that selling stocks of unregistered substances produced in, or imported into the EU/EEA before the deadline can be risky, because downstream users may not be willing to use them. For more information, please do not hesitate to contact info@1cc-consulting.com. The European Chemical Agency (ECHA) has published an update of the Candidate List under REACH on January 15, 2018: Seven new substances of very high concern (SVHC) were added to the list. For Bisphenol-A, the already existing entry was updated. The Candidate List of SVHCs for authorization now contains 181 substances. 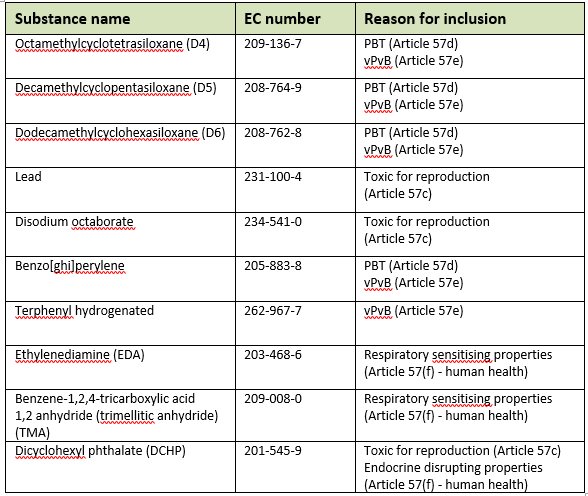 The European Chemical Agency (ECHA) has added the substance PFHxS to the Candidate List of substances of very high concern (SVHCs). Entries for bisphenol A and four phthalates have been updated in order to include endocrine-disrupting properties for human health. The Candidate List was published on July 10, 2017 by ECHA and now contains 174 substances.